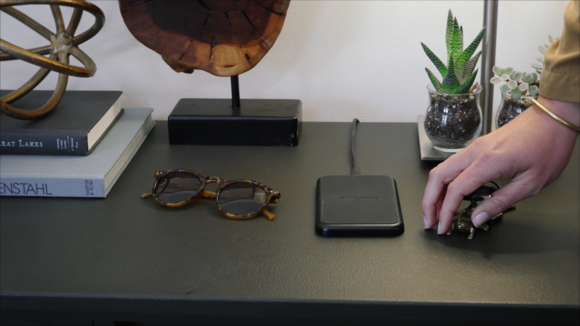 Mophie's "Charge Force" products were designed to wirelessly charge your phone while at home, in the car, or the office. Wireless charging is slowly becoming more mainstream, but one company is going all-in to try to boost its adoption. On Tuesday, Mophie released three wireless chargers that can charge your Mophie-encased phone on contact. 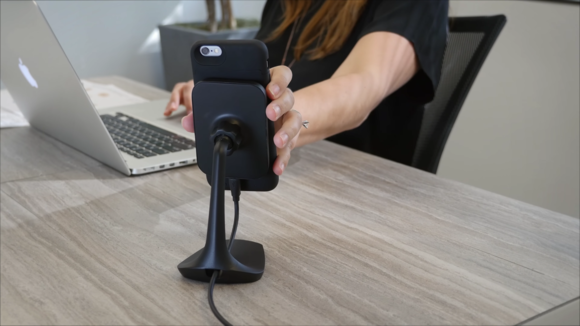 This “Charge Force” product line includes a charging pad for your nightstand, a vent clip for your car, and a desk mount for the office – all with built-in magnets to help stabilize your phone and keep it in place. These wireless chargers require a compatible Mophie case. The company tells us that all Mophie cases moving forward will be equipped with this technology. In fact, Mophie’s Juice Packs for the Samsung Galaxy S7 that went on sale earlier this year are already Charge Force-compatible. I got to try the Charge Force line for a little bit last week, and I was impressed with how strong the magnets were, which is definitely necessary if they're meant to hold a phone with a battery pack. The vent clip for the car seems to be the most appealing choice. 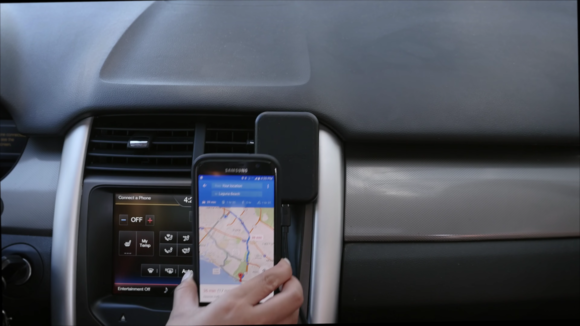 You can use it not only to charge your phone, but also to keep your phone up on the dashboard if you need to navigate for directions. Once you set up the vent clip, you won’t need to ever fumble around your car to find a charging cable ever again. I wasn't able to test it under real driving conditions, however, so I still have to see how well the phone stays in place once it’s charging, and how easy it is to remove the phone with one hand while on the road. If you don’t drive very often but are still curious to try wireless charging, either the charging pad or the desk mount could work. But I wouldn’t recommend getting both. Sure, you may never experience “low-battery anxiety” with a charging pad at home, a desk mount at work, and a vent clip for all those times driving in between. But considering that the Mophie cases already boost your battery life – some by almost 120 percent – I don’t see the need to have an entire wireless charging ecosystem everywhere you go. It’s important to have our devices charged at all times, but what’s the point of having them continuously charged to 100 percent day in and day out? You can purchase the charging pad bundled with a Juice Pack right now starting at $99.95 on Mophie.com, BestBuy.com, and Apple.com. The vent clip and the desk mount are each available for $59.95.